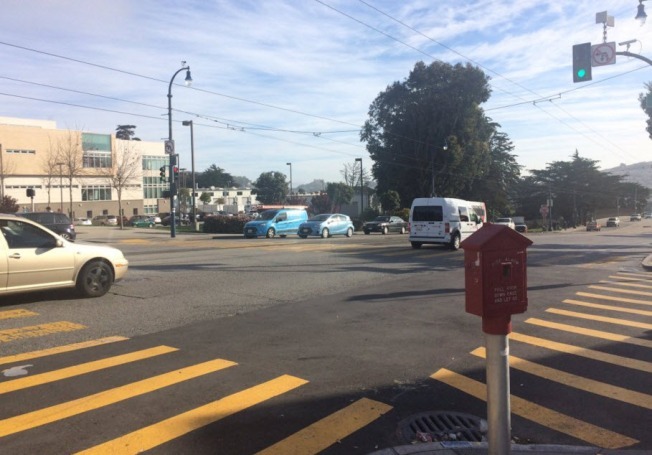 A young woman and a fire truck were involved in an accident Tuesday morning, when the person apparently ran in front of an ambulance, a San Francisco Fire Department dispatcher said. The accident occurred at Ocean Avenue and Howth Street near City College, Lick Wilmerding High School and the Balboa Park BART station. A spokesman said the woman suffered minor injuries.